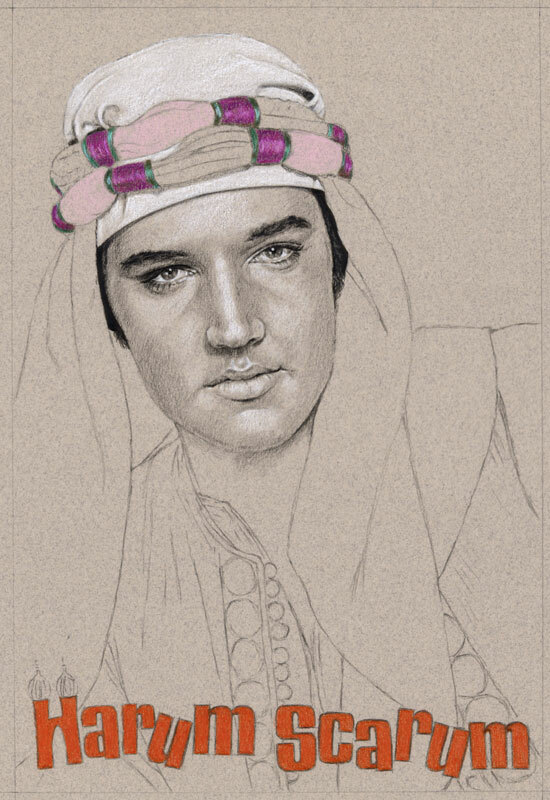 Today I started on a new drawing in the Elvis in Charcoal, The Movies series. This time it’s going to be a drawing of the movie “Harum Scarum“. 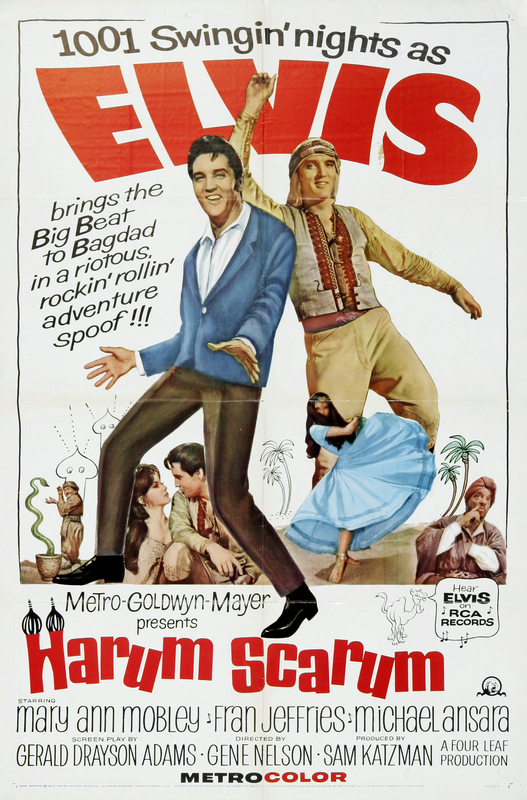 To be honest, I don’t like that movie at all, but Elvis looked good. Johnny Tyronne, an American singer, premieres his latest film in the Middle East. He meets Aishah and Prince Dragna and is invited to Lunarkand. Seduced by Aishah, Johnny is captured by a band of assassins led by Sinan. 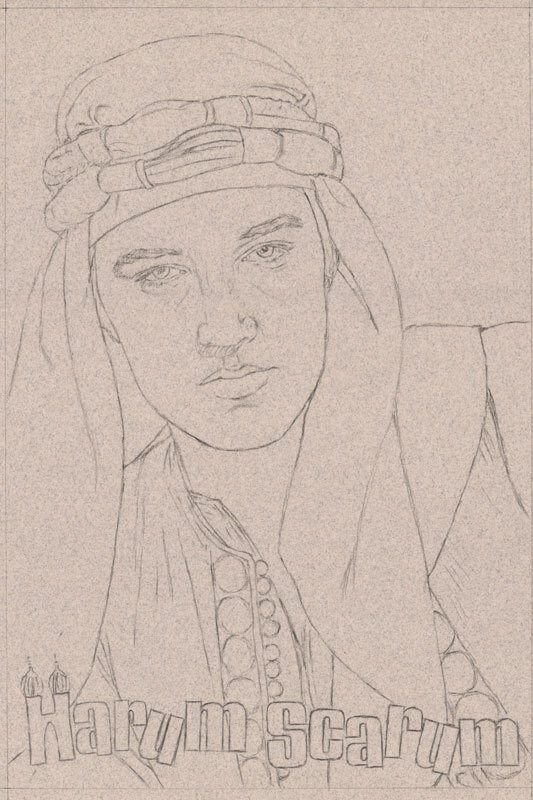 Johnny meets the Princess Shalimar, now a slave girl; and he escapes but is recaptured. Sinan wants Johnny to kill King Toranshah by using karate so that the evil Prince Dragna will get the throne. Johnny foils the plot with the help of a band of thieves led by Zacha. Johnny marries the princess and returns to Las Vegas with some of Zacha’s dancing girls. Work in progress, after a couple of hours. The drawing is made with Charcoal, ink colored pencil and White chalk on colored paper. The size of the drawing is 30 x 20 cm.